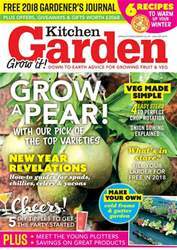 Digital Subscriptions > Kitchen Garden Magazine > January 2018 > WHAT’S NEW? 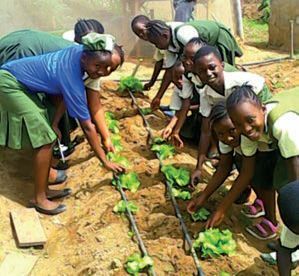 A kitchen garden project at the We are the Future School in Freetown, Sierra Leone is feeding hungry bellies and saving lives. The project was born out of the devastation left behind by the deadly Ebola virus that ravaged the country in 2014 – and the will of its teachers. With funds raised by Bread and Water for Africa UK and its donors in the UK, the school and members of the local community planted a garden with vegetable and fruit stocks and built a kitchen to prepare and serve the food they had grown. In September 2016, 150 hungry pupils received their first school lunch. “The project is going from strength to strength,” says Sylvia Costantini, the charity’s new CEO. “Before the garden project, children were coming to school so hungry, they were too weak to learn – sometimes they didn’t turn up at all. Three of the students even died. The situation was desperate.